This fast cooking Chicken and Fennel Stew is a one-pot wonder complete with protein and vegetables. Carrots and fennel lend a delicious sweetness to the stew. Old Man Winter sure is not letting up! We woke up to a wintry morning after having the loveliest, bright, sunshine filled weekend. Thank God, Ro-Taro drove home on Saturday and not today. This is a late snow storm and hopefully, the last of the season. The snow is still falling and 5 more inches are expected tonight. It will make for a very difficult commute to work and school on Tuesday morning. Perhaps, it will be a snow day and everyone can stay home. That would be really nice, wouldn’t it? Since the weather is still cold out there, stews are still very much an “in” thing at our house. Come to think of it, stews are always welcomed at our house. They are so comforting and go really well with rice. I like to add lots of vegetables to the stew so that it becomes a complete one-pot meal perfect for week nights. Not all stews need to be cooked for hours, especially if boneless and skinless chicken is used. 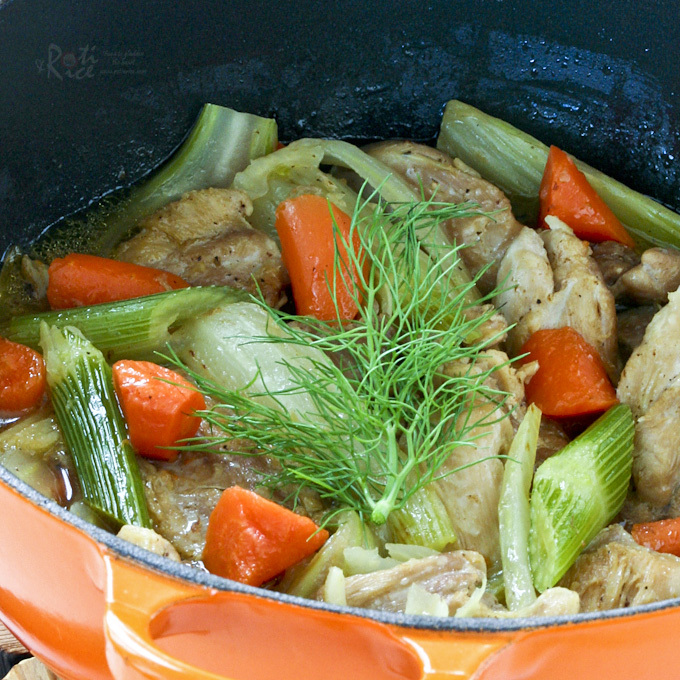 This Chicken and Fennel Stew is a relatively quick one to prepare. 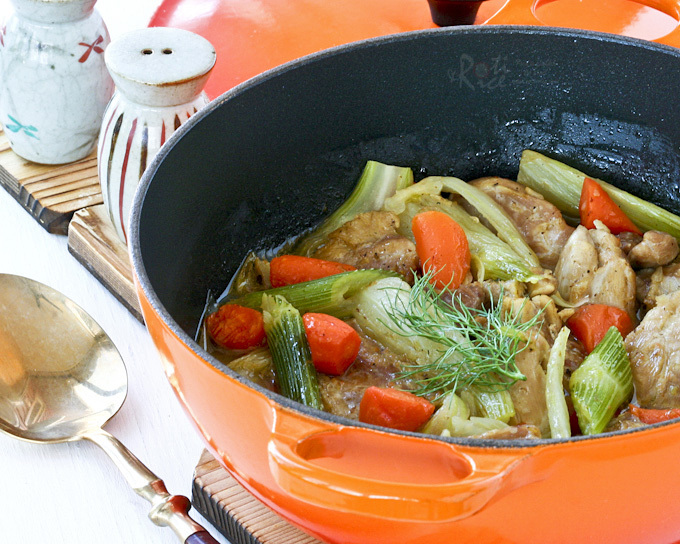 A it delicious and comforting one-pot wonder with protein and vegetables. Both the carrots and fennel are tender but not falling apart. The fennel lends a delicious sweetness and aroma to the stew. Lightly sprinkle salt and pepper over chicken. In a large heavy pot, heat vegetable oil. Add chicken and allow them to brown. Remove and set aside. Add garlic, carrots, fennel, and dried thyme to the pot. Cook for 2 to 3 minutes. Pour in ¾ cup (180ml) water. When it comes to boil, return the chicken pieces to the pot. Add salt to taste. Reduce heat to medium low, cover, and allow stew to simmer for 15 minutes. 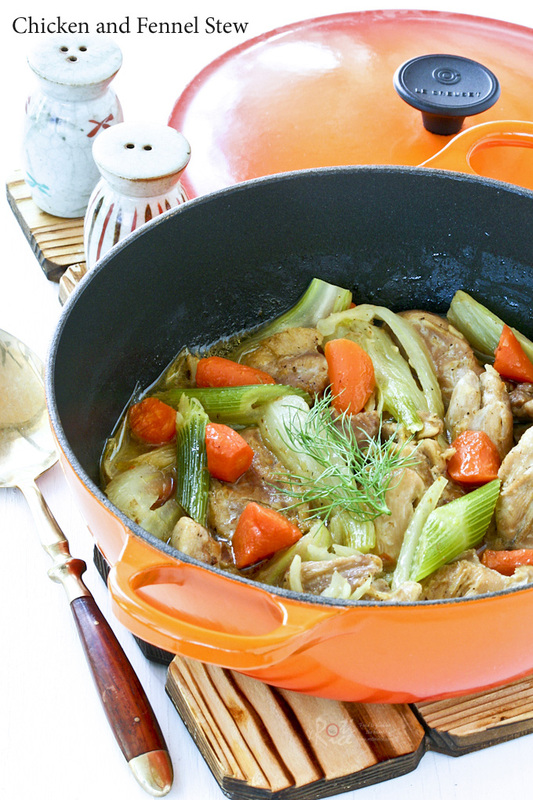 This quick and comforting Chicken and Fennel Stew is wonderful served with rice. I have cooked it several times and it is fast becoming a favorite at our house. Thanks Bibi! We love fennel. It tastes so nice and fresh. We were just up north and lake superior is frozen! And people are posting about spring…. anyway fennel and chicken might give me the strength to push on! It is not difficult to fall in love with fennel. That was what happened to me a few years back. 🙂 Do give this a try. I think you will like it. This looks wonderful Biren. I have never try fennel with chicken, but I am sure it is as delicious as it looks. 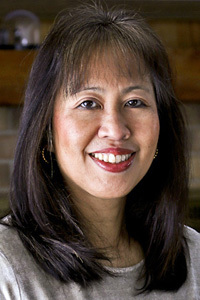 Thanks Mari! I have only paired fennel with chicken and not other meats. 🙂 Love it! You are welcomed, Juliana. Thanks for visiting and commenting! Thanks Ray! I do hope it is the last storm of the season. I love fennel….this is such a keeper! This looks totally delicious! And simple too…my favorite kind of cooking. Thanks for sharing! Thanks Chris! I like simple dishes too especially on week days. Life can get so busy. Yes, you have to give it a try. It is very sweet when cooked. Cooked this dish about 10 days ago and it was absolutely delicious. Fennel was on sale at the market and I bought 2 bulbs without any idea or inspiration on what to do with them. The stew was delicious and easy to make. I will definitely make this again. Thanks for the recipe, Biren. I have all the ingredients on hand and will make this on Saturday. Will also make biscuits to go along with it. Thanks Biren.